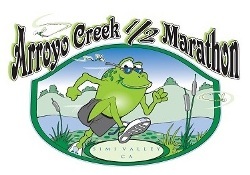 The race will start at Rancho Simi Park at 1765 Royal Ave, Simi Valley CA 93065 and run along the Arroyo bike path . Which is lined with beautiful trees for shade and makes a wonderful environment. The bike path runs through the center of Simi Valley and along the Arroyo Creek. This is still home to ducks and herons, (not cranes), who are soaking up the sun while playing in the gently flowing spring /summer time water. There will be Aid stations every 1.5 miles. Yes, this is a very walker friendly course! It is mostly flat, with a few gentle rollers to keep you on your game. There are plenty of aid stations, and this event is loads of fun! There is a: Generous 4:00 hour time limit for the half marathon, so take your time and enjoy the scenery! This mostly flat course along with some mild rollers, which are mid way through your run. There are some long stretches to allow you to really open up your speed along the last few miles of the course. Can you say Pancakes for everyone? !! That's right we are proud to announce that all runners will be awarded a free plate of pancakes at post race! And yes you can buy more $3 per plate ( 3 cakes per plate) Special note: Friends and family can buy food tickets for $3 each. These terms and conditions are a binding contract between yourself and [Company Name]. AGREEMENT OF THESE TERMS IS EQUIVALENT TO A DIGITAL SIGNATURE ON A CONTRACT. ALL SALES ARE FINAL. CANCELLATION OF AN ORDER IS NOT PERMITTED AFTER THE ORDER IS PROCESSED.